Day 2: After 24 hours, no activity was seen. 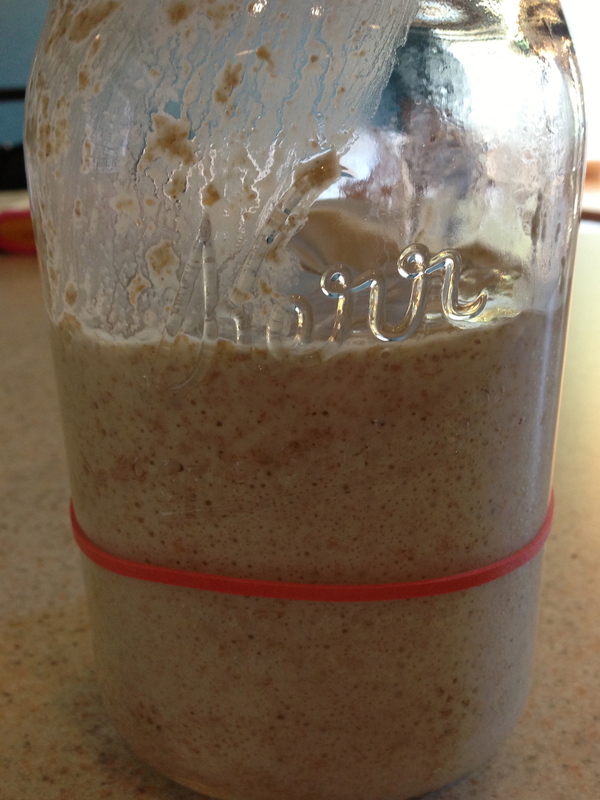 Poured out and discarded 1/2 of the initial whole wheat/water starter. From this time on, all purpose flour is used to feed. Fed remaining initial starter with 1 cup all purpose flour combined with 1/2 cup of water. Moved rubber band up to mark new volume. After 12 hours, the starter had doubled in volume!! I can’t believe it happened so quickly! It is even beginning to have a slightly sour smell. I can’t wait to get baking. 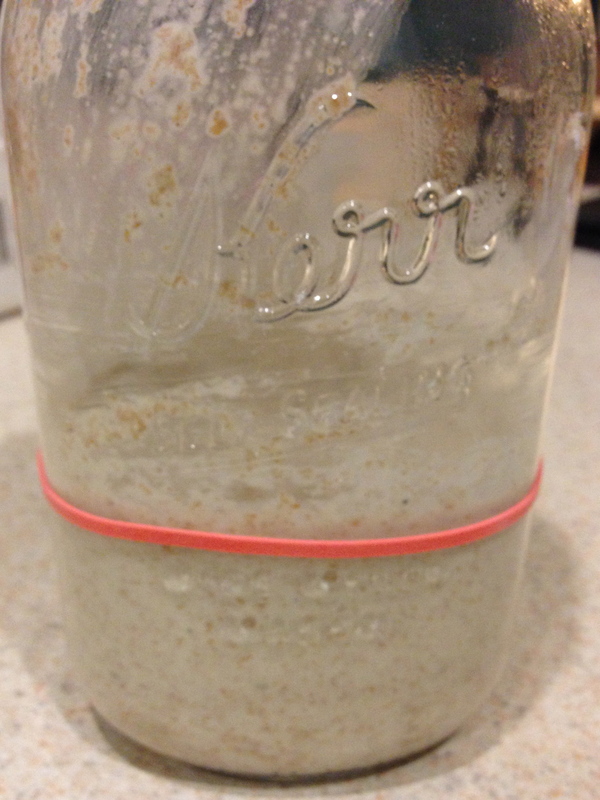 2 Responses to "Sourdough Starter – Day 2"